The rigid movement of the knife-driving shaft and ideal shape of the cam enable the thread trimmer to trim thread as thick as #5. Further-more, no adjustment is necessary after chan-ging the thread count. Sufficiently large presser foot lift. 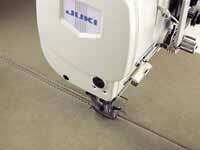 The instant changeover of the walking foot and presser foot's alternating vertical movement is especially effective when sewing over-lapped sections of materials. A function to instaneously change over the alternating vertical movement of the walking foot and presser foot (DL) is optionally available with the machine. With this function, the alternating vertical movement of the walking foot and presser foot can be changed over to the maximum value simply by turning on the switch.  Incorporation of a large hook for increased efficiency. The LU-2210N-7 and -2260N-7 are equipped with a vertical-axis 1.6 fold-capacity hook, and the LU-2210W-7 and -2260W-7 with a vertical-axis double-capacity hook. 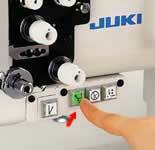 These hooks promote highly efficient operation by reducing the frequency of bobbin thread replacement. The SC-380 is provided with many different standard functions, including speed-control, soft-start, automatic reverse stitching with the specified number of stitches, constant-dimension stitching, and overlapped (multi-layered) stitching. 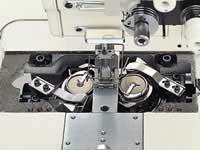 These functions ensure sewing performance optimally suited to the material and process. 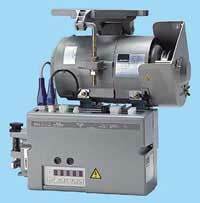 With its higher torque under low-speed sewing, the SC-380 enables the machine to smoothly start sewing operation. The unit is also provided with additional capabilities to enhance the sewing of extra-heavy-weight materials by increasing the cloth-penetrating force of the needle for the first stitch, reversing the rotation direction of the motor to bring the needle to its upper end position after thread trimming, etc. With these capabilities, the sewing machine is able to demonstrate optimal sewing performance both widely and smoothly when working with heavy materials. 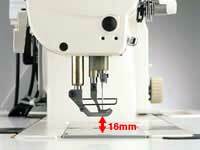 The XC-E500 can be installed on the top of the sewing machine. 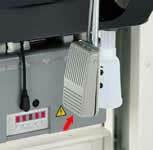 All functions provided by the XC-E500 can only be specified through the control panel. 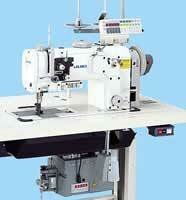 Data programmed in the control panel can be transferred to another sewing machine unit. 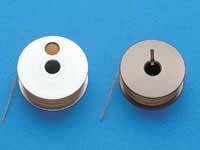 * Configured for needle gauge widths from 4mm to 36mm (LU-2260N-7) and 4mm to 30mm (LU-2260W-7). Note that gauges not given above are also available on special order.